Carl Pike explains the global reach of a trans-world organized crime group and the goals they sought throughout the Americas. Our East Asia operations manager Ephraim Mattos travels with Hollie McKay to Myanmar to investigate the dire situation there. Karen refugees, many of them Christian, face persecution and hunger - depression and suicides. Problems worsen as camp conditions deteriorate. Our Middle East operations manager Jawad receives a certificate on behalf of White Mountain Research and the Nazarene Fund from Baba al-Shaykh, the highest Yazidi authority in Iraq and Syria. For the exceptional efforts in your professional work and steadfastness in your humanitarian work, we are glad to offer you our gratefulness and appreciation for all of your efforts in serving the children of the Yazidi religion. May God bless you for the good you have done to this world. Signed, the spiritual father for the Yazidi religion in Iraq and globally. We have successfully moved more than 6,000 persecuted Christians and Yazidis from frontlines in Syria and Iraq in 2018. White Mountain Research has also initiated a new project to assist in the relocation of more than 2,000 of the poorest and most vulnerable people in the region. This operation is critical to our Australian partners as this is a group that they lost contact with during the war. We were able to locate them and are now ready to assist with their processing. A member of the Australian Parliament was dispatched to region to meet with TNF to plead for immediate action. Rudy joins Glenn to discuss how the the Nazarene Fund is searching for a Christian mother and five children captured last week in 'Black Wednesday' attack. Click here to listen to the podcast, Rudy begins at 1:36. 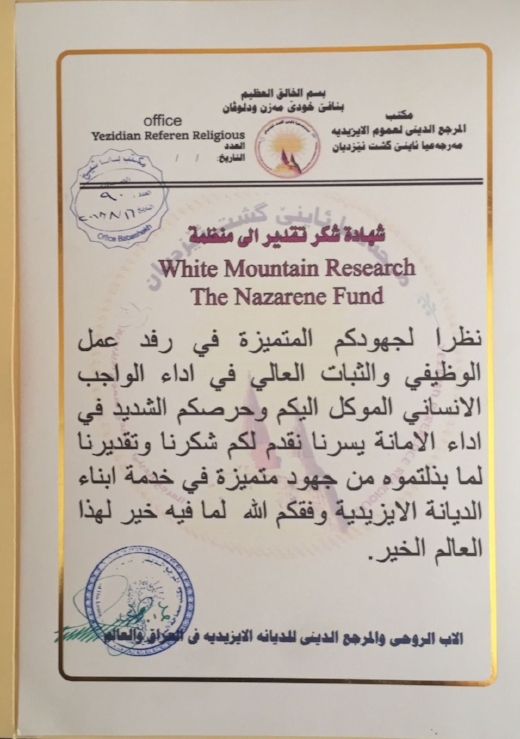 White Mountain Research Group's Middle East Operations Manager Jawad About Jaoude received an award & certificate of recognition from the Australian government for our (Mercury One, The Nazarene Fund and White Mountain Research) work in the Middle East. The Australian Middle East regional director (equivalent to a US Assistant Secretary of State) flew in from Sydney for the occasion. This award represents a team effort by all of us. We are all blessed and honored to work together as a family. The Australians want us to continue on the same trajectory next year. 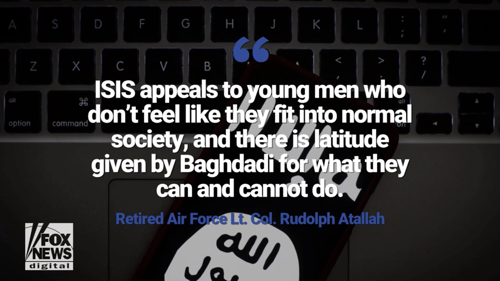 This means, we have thousands of more people to rescue from combat zones. 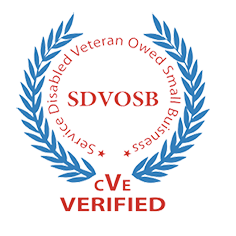 In fact, we are the only people/company they rely on for this type of work. White Mountain Research personnel Zeno Gamble and Michael Powell traveled to Austria to meet the "Lautenberg Christians". They are a group of persecuted religious minorities from Iran who are currently in legal limbo after traveling to Austria on an American program to unite them with their families in the USA. UN Resolution to Support Military Intervention in Mali. Interview with BBC about the ECOWAS Intervention Force for Northern Mali. French troops have begun engaging in direct ground combat against fighters from Ansar al-Din. Rudy Atallah Talks with CNN about the threat of Al-Qaeda in the northern region of Mali. National Geographic The Hunt for Somali Pirates.